Our country’s ongoing battle against illegal hacking and cybertheft waged by foreign countries has reached a boiling point. In U. S. Steel’s much publicized cybertheft lawsuit against China, a complete lack of cooperation and blatant stonewalling by a Chinese government-owned steel company forced the American steel company to temporarily withdraw one portion of its case. U. S. Steel had claimed Chinese government-owned Baosteel hacked into U.S. Steel’s computers and stole trade secrets for advanced, high-strength steel. To add insult to the alleged cybertheft, China is presently manufacturing this high-strength steel at a breakneck pace and is believed to be rerouting hundreds of thousands of tons of steel back into the U.S. through other countries to avoid tariffs — further undermining our own steel manufacturing industry. It is widely believed that China has created an army of cyberthieves numbering in the tens of thousands that work every day to hack into U.S. companies and steal anything of value. U.S. Steel was praised for its legal action in this trade-secret case, which could have given the world an eye-opening, inside look into the actions of the Chinese government. But sources familiar with the litigation say China used every trick in the book to ignore, dodge or reinterpret requests from U. S. Steel regarding information needed for its case. Documents that could have been used as evidence were not provided. When documents were provided, they were delivered in Mandarin. Many experts and potential witnesses needed for deposition were not made available. The Chinese company even refused to have its witnesses travel to the U.S. for deposition hearings, forcing U. S. Steel — the injured party — to incur enormous costs traveling to Hong Kong for legal proceedings. In addition, Administrative Law Judge Dee Lord did not provide clarity. Despite numerous opportunities to advance the case the proper way, Judge Lord apparently saw no reason to support U. S. Steel’s requests for fair treatment. The company had little choice but to withdraw one aspect of its lawsuit without prejudice. 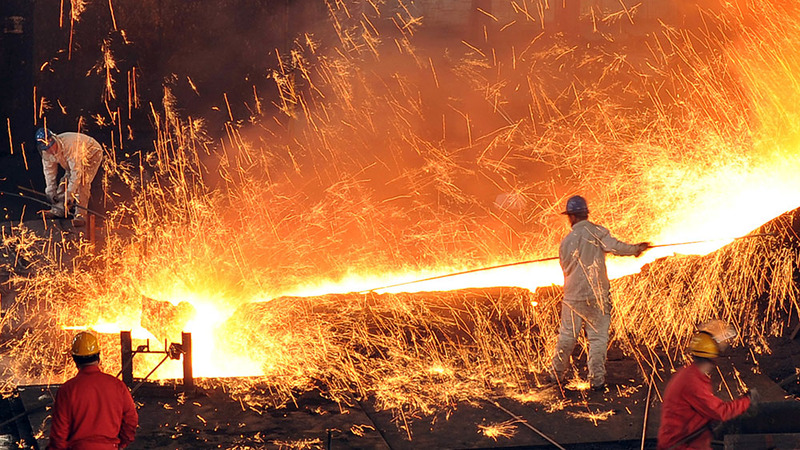 U.S. Steel will move forward on two other claims against Baosteel and other Chinese companies. An unfortunate side note to this case is the lack of resources and support from our own government regarding international cybercrime. The Justice Department is well aware of the ongoing cyberwar between the United States and China, but there is no organized team in Washington, D.C., that can aid U.S. companies that fall victim to such theft. No one company in America has the resources or the technical ability to fight a full scale cyberwar with China, the second-largest economy in the world. As this source says, our government has yet to marshal the resources or develop the mechanism to help defend American companies that fall victim to foreign cyberattack. If our government had come forward with the muscle and a strong demand that the Chinese cooperate in this case, it would likely be moving forward. None of this recent court activity erases the fact that China has most likely broken the law by hacking into numerous U.S. companies, stealing intellectual property and trade secrets, and is producing and selling these goods in the United States. According to “World Steel,” in 2000 China produced approximately 14% of the world’s steel, slightly more than U.S. production of 11%. By 2015, China accounted for more than 49% of the world’s steel production, almost as much as the rest of the world combined. U. S. Steel invested millions of dollars in the development of new cutting-edge types of steel, only to have these trade secrets stolen. The U.S. steel industry has suffered, with more 15,000 layoffs since January 2015, and more job losses throughout the supply chain and in steel-producing communities. If China or any other nation can steal from one company and flood U.S. markets with goods at cut-rate prices, then thousands of U.S. businesses, along with the millions of American jobs they support, are at risk. President Trump speaks often about the need to protect and revive the American steel industry. The president can start by creating policies and allocating government resources to help U.S. companies put an end to international cybertheft. Colin Hanna is president of Let Freedom Ring USA Inc., a nonprofit public-policy organization committed to promoting constitutional government, free enterprise and traditional values.